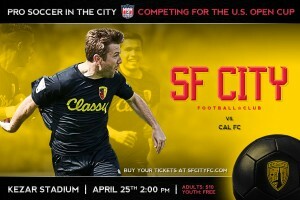 San Francisco City Football Club is a non-profit, supporter owned club competing at the 4th tier of the US Soccer Federation pyramid. Founded in 2001, the club is a national member of the US Soccer Federation. Offering high level competition from the youth to adult level, US Club members represent all 50 states. At the men’s adult level, US Club organizes competition based on its regional Premier League platform and offers clubs a pathway to qualify for the Lamar Hunt U.S. Open Cup, the oldest and most competitive soccer tournament in the United States. Bay Area Cricket Alliance (BACA) is a non-profit sports organization dedicated to promoting the game of cricket in greater San Francisco bay area and beyond. BACA is affiliated to USA Cricket Association and prepares players to be a part of USA national team in the Men, Women and Youth categories. Send your information to us!